Often times life can get busy, our goal at Aria Salon is for our clients to take time for themselves and feel beautiful inside and out. Step through our doors to be greeted and attended to by the members of our kind and exceptional staff. 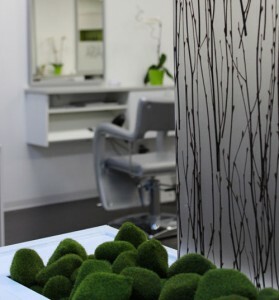 The bright open space of the salon is inviting and comfortable. We focus on creating a highly personalized experience for each and every one of our clients. Carefully paying close attention individual needs and desires for their hair. We proudly feature world renowned Schwarzkopf Professional hair color and products. Contact us today to book your appointment with one of our talented and experienced stylists.